If you, a family member or friend is suffering from PTSD or TBI, I hope this page can help you find the steps to start living a Free life with purpose, passion and love for each other. First of all, if you or a Veteran you know are in an emotional crisis, please contact the National Suicide Hotline at 800-273-TALK (8255) and press 1 for Veterans. For more information or to speak with the Indianapolis VA Suicide Prevention Coordinator please call 317-988-3213. Silouan Green, is an amazing individual who has lived through PTSD and is out there helping to bring others back from the darkness. He is a speaker, author, song writer among many other things and his website has many positive ways to help one chart a path to over come PTSD. His Ladder UPP workshops are amazing and he is always looking to do more. He helps individuals, communities, and organizations create deeper relationships that proactively addresses the impact of trauma. Silouan travels all across the country speaking with Doctors, nurses, Veterans, Military, Prisoners, drug addicts, Police, EMT’s and Firemen making a difference in their lives and he can do the same for you. Look him up and find a way to reach out to him or let ”Me” know and I will reach Silouan.. Here is a link to a great book that also can help Sycamore Hill. Remember, you are not alone. HelpGuide.org - PTSD in Military veterans, a trusted guide to mental, emotional & social health issues with symptoms, treatment and self-help to recover from PTSD. Community Provider Tool Kit for PTSD - Provides Symptoms of PTSD and gives links to educational materials and training. Sort of a mini-clinic for local clinicians on how to understand and help treat those with PTSD. Rocky Mountain Hyperbaric Institute Hyperbaric Oxygen Treatment has been proven to increase cognitive abilities and RMHI is there to assist. Their Healing Our Heroes program supports our veterans by assisting with payments for hyperbaric oxygen therapy (HBOT) treatments. Many of our veterans have sustained a Traumatic Brain Injury (TBI), Post Traumatic Stress Disorder (PTSD), and Post Concussive Syndrome (PCS). Studies have been conducted using HBOT as an alternative therapy to medication. These studies have shown that patients receiving these treatments had a dramatic increase in cognitive abilities, improved recovery in motor skills and were able to decrease their anti-depressant medication intake. Lone Survivor Foundation provides therapeutic retreats for service members and their families affected by Post-Traumatic Stress, mild Traumatic Brain Injury, Chronic Pain and Military Sexual Trauma. In 2017 we held 38 retreats for 335 Veterans and family members at no cost to them!! Marcus Luttrell started Lone Survivor Foundation in 2010 and has been helping his brothers and sisters ever since. Our resource page is full of helpful links for many things Veteran related. The Independence Fund.org raises funds to not only treat TBI/PTSD with HBOT therapy but they also offer mobility and caregiver programs. They setup a clinic in Charlotte, NC that treats our Veterans diagnosed with TBI/PTSD with HBOT and because they know it works and the need is greater than they can serve in this one clinic, they are opening more in Myrtle Beach and Palm Key. You may go to this site and fill out the paperwork needed to be setup for treatment. The Cost of Freedom, Inc. - Is an Indiana group who offers many programs for our combat wounded, combat injured and disabled Military/Veterans. Their mission started mostly with conservation programs and now they host many types of programs mainly geared to injured and those with PTSD/TBI. From hunting and fishing to PTSD workshops with Silouan Green to assisting Veterans in gaining access to the hyperbaric oxygen chamber for treatment, plus many more programs. Look them up and help them as they need funding to keep up their existence. Their website is http://theendofthegoattrail.com/ - every combat soldier walks his or her own trail and what they are trying to do here is to help every Veteran get to the end of their goat trail. PTSD Patience Press - Books and helpful information for Veterans and family and friends of Veterans with PTSD. 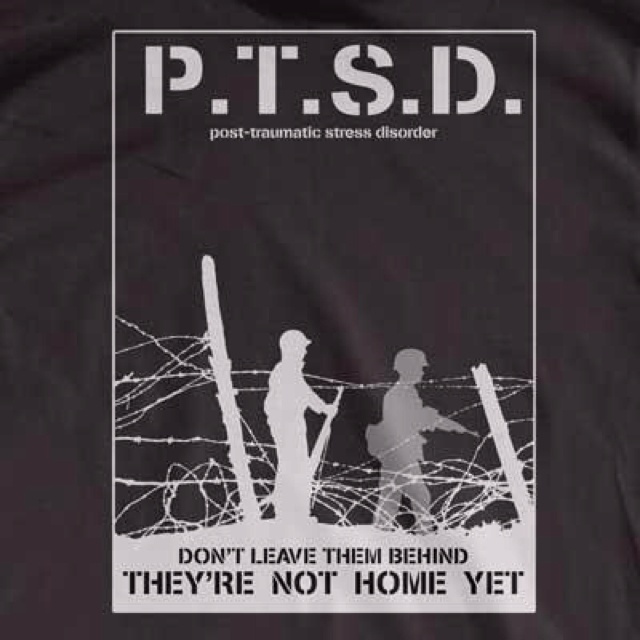 My mission is to ensure that other people never have to be alone with the pain of PTSD, struggling to heal without help or support the way we did, back when it didn’t have a name and wasn’t supposed to exist. --Patience Mason, author. Restoring The Soul After War written by Edward Tick PhD, is another great book that can help one to truly come home. It can help everyone as war touches us all. Read it. Brainline BrainLine is a national multimedia project offering information and resources about preventing, treating, and living with TBI. BrainLine includes a series of webcasts, an electronic newsletter, and an extensive outreach campaign in partnership with national organizations concerned about traumatic brain injury. Defense & Veterans Brain Injury Center The Defense and Veterans Brain Injury Center (DVBIC) is the TBI operational component of the Defense Centers of Excellence for Psychological Health and Traumatic Brain Injury (DCoE). As part of the U.S. military health system, DVBIC’s responsibilities have grown as its network of care and treatment sites have grown since its founding in 1992. National Center for PTSD The National Center for PTSD is the United States government’s center of excellence for research and education on the prevention, understanding and treatment of PTSD. Although providing no direct clinical care, the Center’s purpose is to improve the well-being and understanding of American Veterans through cutting edge research to ultimately advance the science and promote understanding of Traumatic Stress. Click here for their ABOUTFACE program to hear Veterans tell their stories of how PTSD treatment has saved their lives. They also offer PTSD Coaching online which can be very helpful. Medline Plus - Their website lists many links to helpful sites on PTSD/TBI which are not listed on our page here. Please check them out to find the answers that will help you or your family member/friend recover. Substance Abuse & Mental Health Services Administration - SAMHSA facilitates innovative community-based solutions that foster access to evidence-based prevention, treatment, and recovery support services for military service members, veterans, and their families at risk for or experiencing mental and/or substance use disorders by providing state-of-the-art technical assistance, consultation, and training. SAMHSA does this work in close partnership with TRICARE, Department of Defense, and Department of Veterans Affairs (VA) services. Military Sexual Trauma - Both women and men may experience MST during their service. All Veterans seen at Veterans Health Administration facilities are asked about experiences of sexual trauma because we know that any type of trauma can affect a person’s physical and mental health, even many years later. We also know that people can recover from trauma. VA has free services to help Veterans recover from this type of trauma. You do not need to have a service connected VA disability rating to receive these services and may be able to receive services even if you are not eligible for other VA care. You do not need to have reported the incident(s) when they happened or have other documentation that they occurred. This website has information about the health care services that VA has available for Veterans who experienced MST. Please view this fact sheet Disability Compensation for Personal Assault or Military Sexual Trauma for information about VA disability compensation for conditions related to MST. Women Veterans Health Care and Sexual Trauma - This VA website has created materials to raise awareness of sexual trauma and lists resources for treatment. Womens Health.gov lists resources by state who provide support for women who have experienced abuse. If you do not find your state or need to speak with someone right away, please call the National Domestic Violence Hotline for help in your area - 800-799-7233. Also read their pages listed in the left column under Relationships and Safety for more resources. Alcoholics Anonymous is there when you need them so don’t forget about them as AA has been helping us all for many years. Save a Warrior is an innovative, evidence-based ”war detox”€� program that provides a powerful healing experience for Active Duty Military, Veterans, and First Responders who are suffering from Post-Traumatic Stress. The Guide to Managing PTSD As a Tradesman - Working outside in the elements can sometimes trigger things from our past. Learn how to discover the triggers and control them at work is just one thing covered in this link. PTSD In Children - Learn what sorts of trauma leaves a child with PTSD, what the signs are, how it is diagnosed and how to treat it. Guide for Veterans Seeking Help for PTSD & Substance Abuse - This site may have a different approach (it’s a self storage company that cares about our Veterans) but there are many links here which can be useful when looking for help with PTSD, overall mental health and substance abuse. Real Warriors.net deals with all aspects of Military life when it comes to maintaining ones mental health. As Active Duty, National Guard, Veteran or family member this site covers all the hot topics that might cause one stress. The Real Warriors Campaign is a multimedia public awareness campaign through the Psychological Health Center of Excellence (PHCoE) to support the promotion of psychological health, reduce stigma of psychological health concerns and encourage help seeking behavior for service members, veterans and their families.